Bridg’s POS Data Sync Agent was created to help you understand your customer behavior at the individual level and give your brand the power to personalize the messaging of your omni-channel marketing campaigns. The highly secure Sync Agent tracks every purchase made at the point-of-sale, so you can understand trends in guest loyalty, spend and frequency. When paired with personal contact information from external databases (SMS, email, loyalty, online ordering) this data enables you to create advance guest profiles to target with precision advertising and personalized messaging campaigns. What does my team need to know? First, you may need to whitelist our app and open a couple of ports to allow the Data Sync Client to communicate with Bridg. Next, download the installer from the link provided by your Client Success Manager.  Notify the Bridg team when the installation is complete and we can check to see if the process was successful. Then you’re all set. The sync will run unattended at 4:05am nightly. Zero Footprint Software - Bridg leverages the Windows Task Scheduler to run the app once per day per your preferences and needs. Bridg is not a service that runs persistently on machines and will never impact POS performance. Unattended, Push-Button Installation to All Locations - Our team will help create any necessary deployment scripts and test to make sure all variables are being passed correctly. Typically takes just a few hours to complete. Firewall Settings - Most clients use firewalls to secure their network environment. It takes just a few minutes to whitelist specific Bridg IPs. This should take no longer than 10 minutes. Enterprise Security App Whitelist - In cases where enterprise security prevents installation, the Bridg executable and installer will need whitelisting. This should take no longer than 30 minutes. Create a Windows Firewall exception named "Bridg Data Sync", whitelisting the <INSTALLDIR>\posagent\node.exe executable. This does not apply if your Windows Firewall is disabled. The firewall(s) in your network infrastructure must be configured to allow the POS server to communicate with the following host over http (some firewalls may not have the “https” option, in which case you may choose “tcp”): https://posapi-2.bridg.com:443. This host is a proxy server, which allows the agent to contact the many Bridg servers via one firewall exception. The agent makes HTTP CONNECT requests via this proxy server, which may be blocked by some advanced firewalls. In this case, further firewall exception may be necessary. If you have any antivirus software, malware protection, or system security software on your POS server, you must ensure that it is configured to allow the execution of our installer. Failure to do so will cause the installer to misbehave, become unresponsive, or fail entirely. In addition to whitelisting the installer, you must also ensure the installed software is allowed to run by your security policy. Verify that the executable at <INSTALLDIR>\bin\node.exe (where <INSTALLDIR> is the directory within which the agent will be installed) will not be blocked from running by your security software. This is the process that will be launched nightly to send data to Bridg. Once the Data Sync application has been installed successfully, a nightly data sync process will occur at approximately 4:05AM local time. If you would rather have the process run at another time, contact your Bridg Client Success Manager prior to installation, and request to have your installer customized to run at your desired time. The sync process is automated via a Task in the Windows Task Scheduler. The Task will run unattended overnight, under the Windows builtin “SYSTEM” user account. Therefore, you do not need to be logged in to your machine for the Task to run. If any user modifies Task settings after installation, the ownership of the Task will seized from the SYSTEM user, after which the Task’s behavior may be unpredictable. Download the installer from the link provided by your Client Success Manager. Verify that it is permitted to run as described above. Close other applications. Before beginning the installation process we recommend that you close any unneeded applications as they may hinder that installation process and require a restart of your computer in order for the installation to take effect. From our past experience, it is only in rare cases that a restart of your computer will be required in order to complete the installation process. Locate the Bridg_Revention_*.exe installer. Doubleclick it to start the installation process. The installation summary dialog box will popup. Please read the summary and click NEXT once you are ready to continue. You will be asked to identify the location at which you are currently installing the Bridg application, using a unique store/location ID. For consistency, use the same Store number you have assigned this location internal to your organization. Only alphanumeric characters are allowed in this box. Click NEXT once you have entered in the correct store ID. Next, you will be asked to select a directory to install the Bridg Data Sync agent. The default is C:\Bridg, but you may choose a different location. Click INSTALL once you have selected your desired location. Next, enter the credentials that will allow the agent to access the Microsoft SQL database where the Revention data is stored. The image below describes which fields from the SQL Server Management Studio (SSMS) correspond to the installer. Currently, only SQL Server Authentication is supported by the agent. Verify with your database administrator that a SQL user account exists on the database. This user must have read access to the database where the POS data lives (which is “Office” in the example below). Once you are ready, click NEXT. Verify your input before proceeding. Contact a system or database administrator if you are unable to connect with the provided settings. The installation process should now proceed to complete normally. This means the agent was unable to communicate with Bridg via the proxy server at https://posapi-2.bridg.com:443. If you are unable to get to the next step due to this or any other reason, contact an IT administrator, or refer to the “Before Installing” section at the beginning of this document to resolve the issue. You have now successfully installed the Bridg Data Sync Client. Click FINISH to exit the installer. Once the installation process is complete, you may conduct a test by running the “Bridg Data Sync” task from your Windows Scheduled Tasks. Wait about one minute, check C:\Bridg\output.log to see if there are any erroneous messages. If the log file reveals no issues, and the process is still running, you may end the task by choosing the “End” option as seen below. The process will start again overnight, as scheduled. Over the course of the next few days, your Client Success Manager will confirm that we are successfully receiving your data. If for some reason data is not being sent through successfully, our team will work with you to troubleshoot the issue.